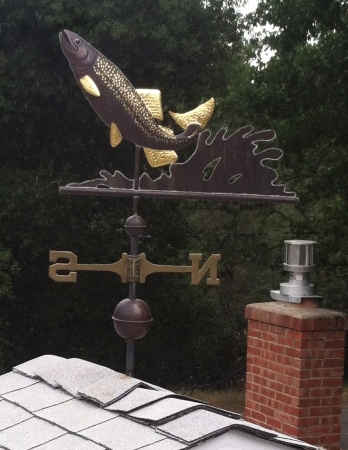 The Leaping King Salmon Weather Vane featured here was commissioned for a 70th birthday present for a man whose home overlooks the shore of Lake Michigan. 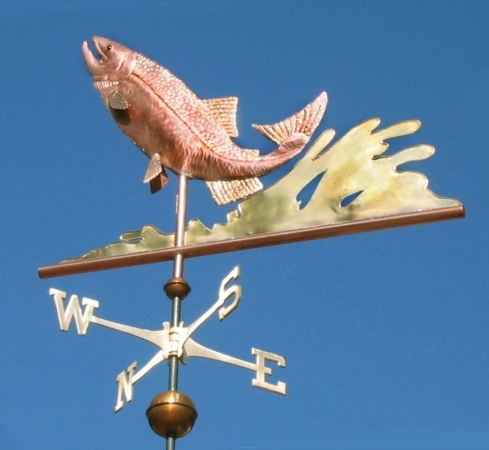 This salmon weather vane can either be made in entirely in copper or the body in copper and the fins, tail and waves in brass for a subtle distinction between the metals. Because these weathervanes are made to order, you get to specify your preference. We can also optionally gild the fish’s speckles, fins and tail. 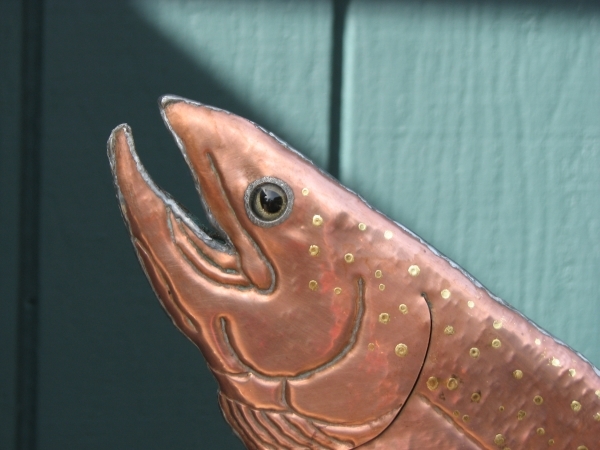 In the image shown here, we made the leaping fish entirely in copper, gold leafed the speckles on the sides of its body and made the waves out of brass. If you have questions about these choices, we are happy to explain how the different metals patina and/or make recommendations on how to choose the combination best for you. 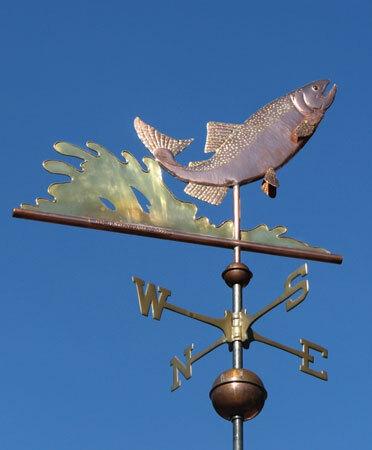 We have since made this weathervane for customers in British Columbia, Northern California, New York and Washington among other places. With each weathervane we make, we offer a personalized inscription which is stamped in small letters onto each weathervane sculpture piece. 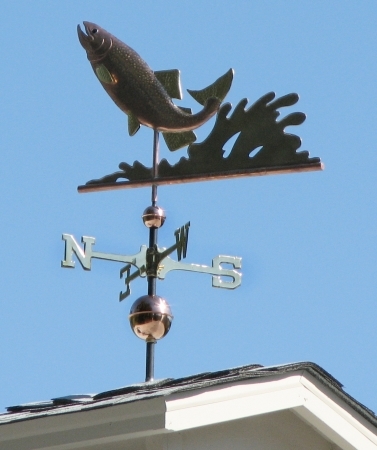 One of our favorite inscriptions was EVENTUALLY ALL THINGS MERGE INTO ONE AND A RIVER RUNS THROUGH IT put on a medium size Leaping Salmon weathervane for a customer in Glen Ellen, California.